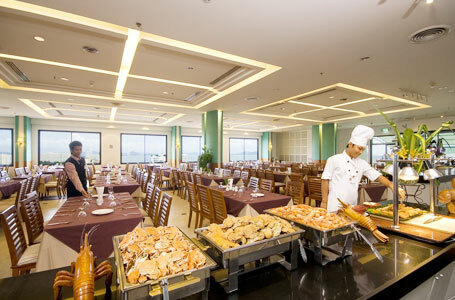 Enjoy the bounteous international buffet at the Lighthouse restaurant while taking in the stunning views of Pattaya City from the 16th floor of the hotel's second building. 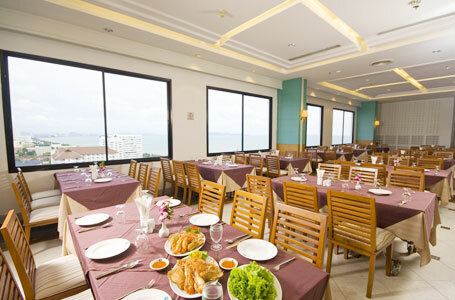 You're spoilt for choice as far as eating is concerned during your stay at Jomtien Palm Beach Hotel & Resort. 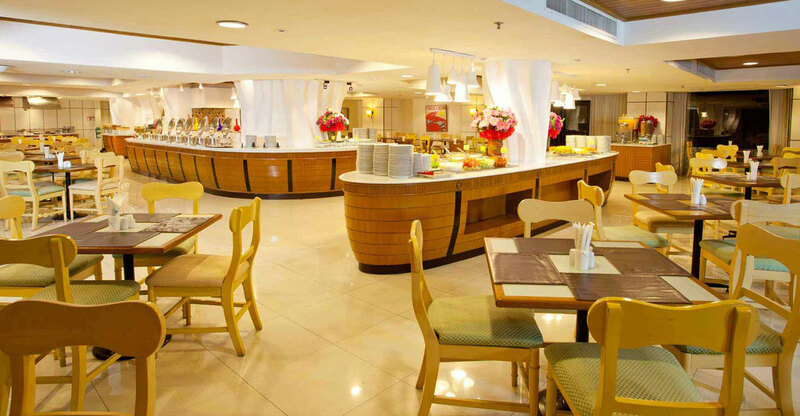 There are six venues to choose from, offering tantalizing cuisine ranging from authentic Thai food to international specialities. 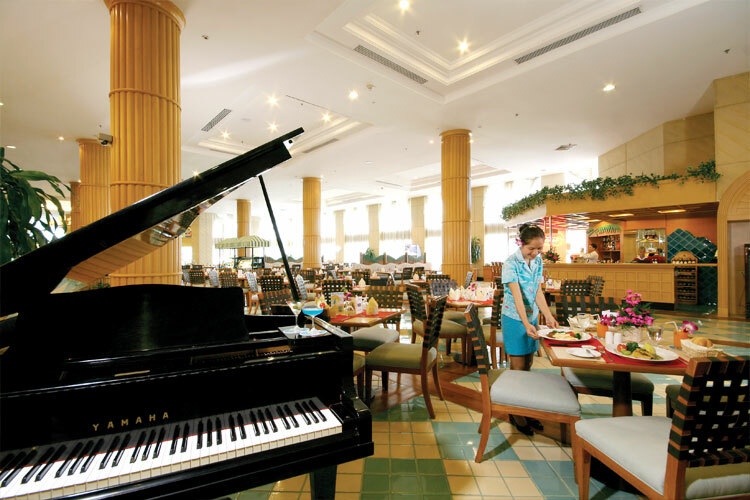 Enjoy your time at the relaxing Sunset Lobby Bar sipping on cocktails while our daily piano entertainment provides the mellow sounds for your reverie. 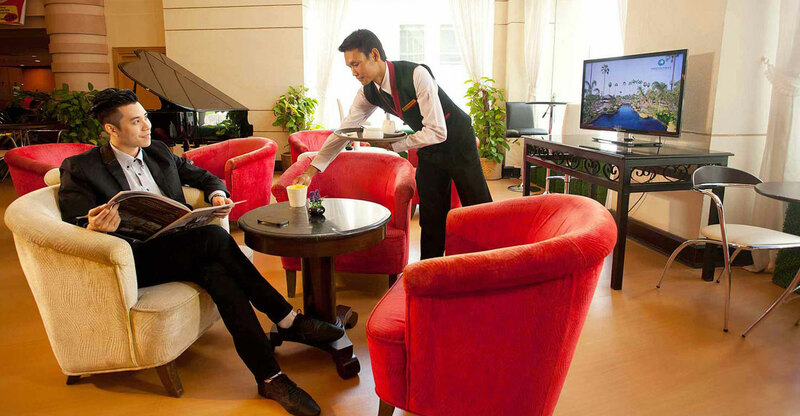 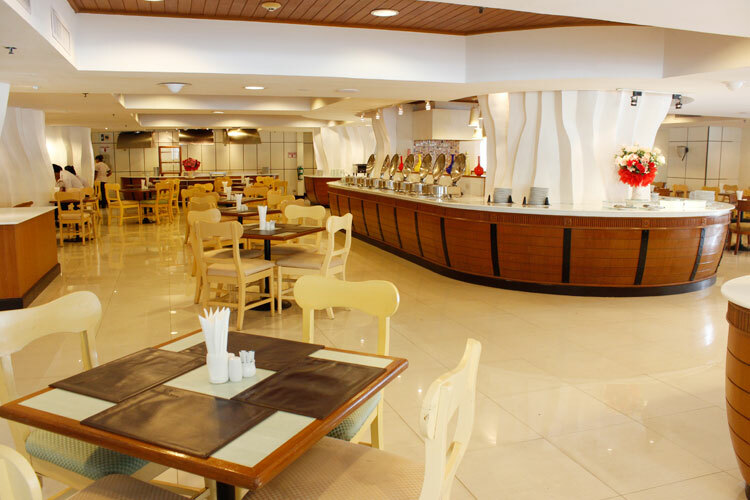 You can enjoy your favourite drinks and selection of food & snack. 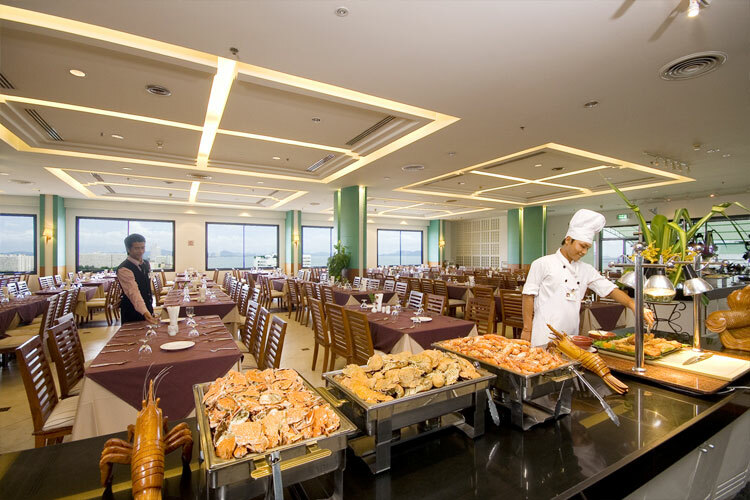 The gorgeous poolside view is one of the highlights of dining at The Coral Reef restaurant, which also offers a fabulous selection of Western and Asian buffet. 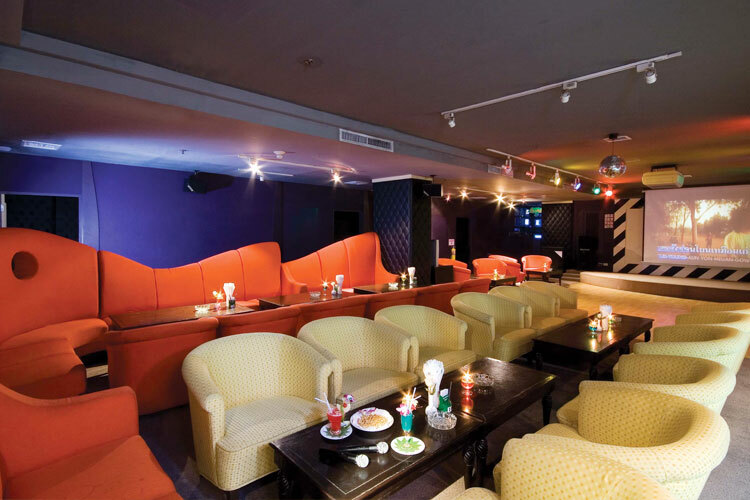 The Rewind Pub & Karaoke features songs from around the world with public zone and private rooms. 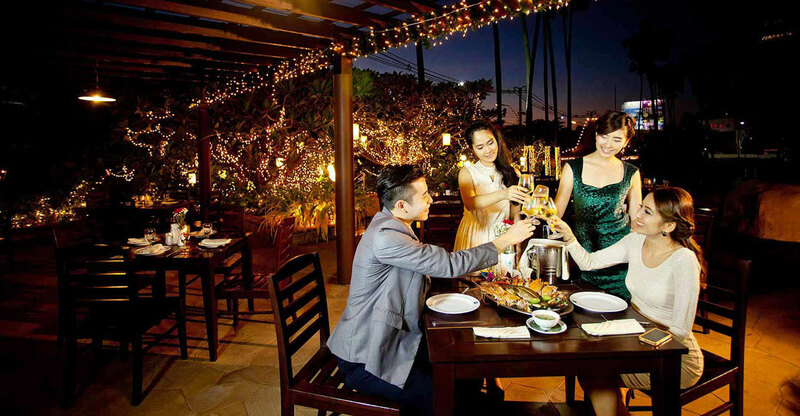 Romantic dine under the stars at the open-air Palm Terrace Restaurant. 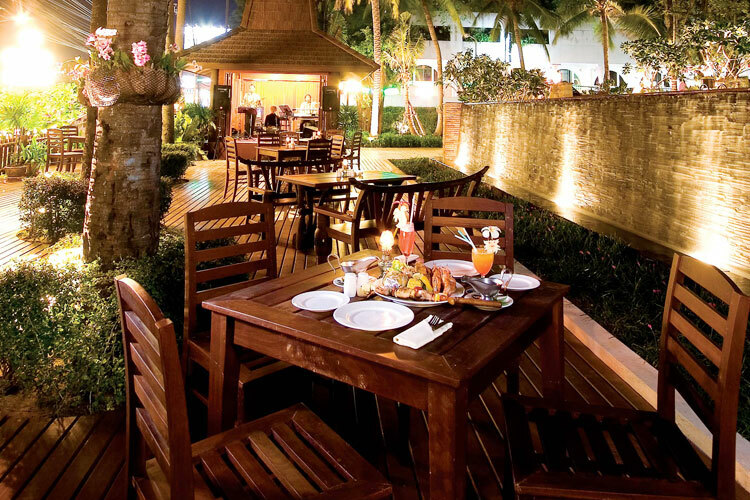 It is the ideal place to relax with live music while feasting upon some of the area's best grilled seafood.